The Wake Watcher Boat Mooring System allows your boat to move up and down with wakes and waves resisting vertical, horizontal and lateral movement while positioning your boat at a safe distance from the dock. This prevents damage to your boat. For boats up to 3,500 lbs. The Galaxy Solar LED Light is designed to mount on any 4" x 4" railing or fence post. Durable and powerful, this LED lamp will enhance the look of your railing, old and new. 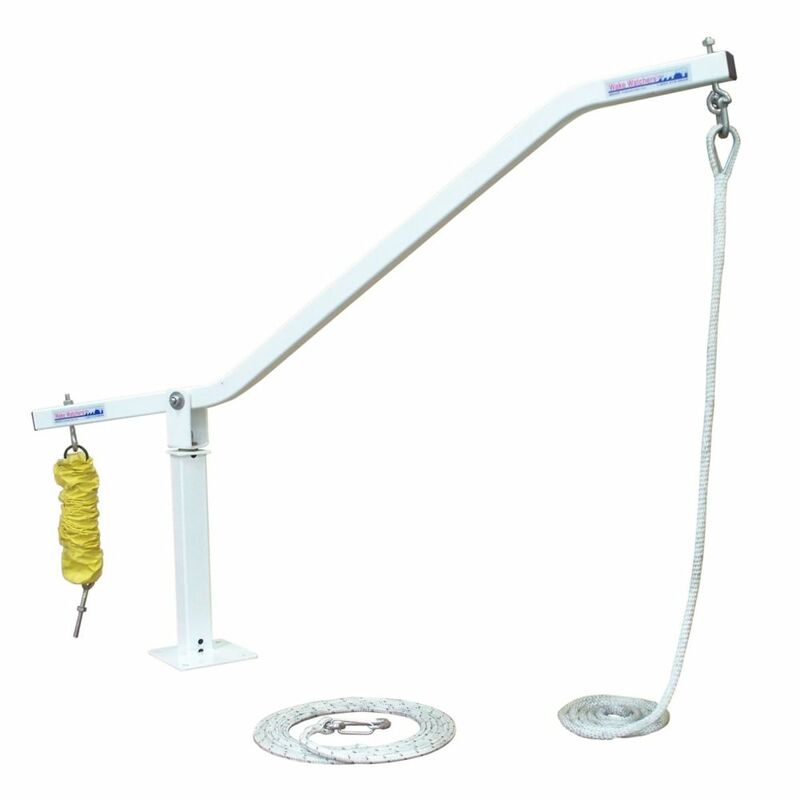 Wake Watcher Boat Mooring System The Wake Watcher Boat Mooring System allows your boat to move up and down with wakes and waves resisting vertical, horizontal and lateral movement while positioning your boat at a safe distance from the dock. This prevents damage to your boat. Wake Watcher Boat Mooring System is rated 4.7 out of 5 by 6. Rated 5 out of 5 by JD77 from Great quality and value I bought a new boat but didn't want the expense or hassle of a boat lift to keep it from banging against the dock. I was considering conventional mooring whips until I saw the Wake Watchers on You Tube. I purchased onlne and they arrived at my door in a few days. Opening the box I was impressed by the sturdiness and quality. Assembly was essentially attaching a few bolts and securing the bases to the dock. One thing I wasn't aware of, you will need to buy bolts/nuts or lag bolts to attach the base to your dock, a minor expense/inconvenience. Assembly was about 10 minutes by myself and I was ready to secure my boat. We've experienced some heavy storms and waves since installing and it has handled it all well. Great product and under $400, a fraction of the cost of a boat lift. I highly recommend. Rated 5 out of 5 by Daggen from Wake watchers x four I run a community dock with 10 stalls, we installed 4 sets of wake watchers on the end of floating dock section, it is very important that the dock is long enough to accommodate the boat to be moored, the wake watchers should be turned in a bit towards the cleets on the boat. As far as performance they work fantastic when the weather and rollers come in. I recommend wake watchers very highly and they are very easy to install you just have to tweak each installation according to the location of the cleets on the boat. As far as homedepot service was very good and price is the best anywhere. Rated 5 out of 5 by Glen from Works great ! Happy to keep my boat safe! Easy to use and quiet! Rated 4 out of 5 by cottager from Need better bolts, everything else was good The product is good but I had one bad fastener. You may need a grinder and a hammer to get some of the bolts through the mounts. Rated 4 out of 5 by Jeff from Happy so far Using them on a 20' pontoon. Waiting for a big wind to see how they handle that. I'm not sure how to do it but an adjustable rope hanging down would be nice. Is this listing for a pair or each piece costs that amount? I'll answer my own question... I ordered it... it does have 2 arms... 1 kit is all you need except fasteners at the base.